The still-live investigations range from an expansive probe into the Trump inaugural committee, to various investigations relating to former top Trump campaign officials Paul Manafort and Rick Gates, to tips that stemmed from Trump personal attorney Michael Cohen’s experience with Trump and his family’s company. It’s possible other investigations are being conducted quietly, as well. In all, Mueller leaves behind a mess of prosecutors in federal and state government still collecting documents, interviewing witnesses and prosecuting cases that may keep Trump’s family and associates on edge for months. Much of the apparent action so far has been out of the powerful, insular US Attorney’s Office in Manhattan. The Southern District of New York office is already looking into donations and expenditures of the Trump inaugural, into the Trump Organization, into allegations from Cohen related to campaign finance and a possible suggested pardon. They’re also investigating well-known US lobbyists who worked for Ukraine. Federal prosecutors from the Southern District of New York in February sent a wide-ranging subpoena to the Trump inaugural committee, marking a major step in what could be a devastating probe in Trump’s political world. The Manhattan-based prosecutors were seeking virtually every piece of documentation related to the inaugural’s donors, vendors and finances. 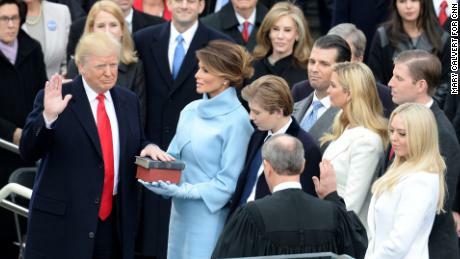 The subpoena, which was signed by Manhattan US Attorney Geoffrey Berman, disclosed that prosecutors are investigating a broad array of potential crimes related to the inauguration’s business conduct: conspiracy against the US, false statements, mail fraud, wire fraud, money laundering, inaugural committee disclosure violations and violations of laws prohibiting contributions by foreign nations and contributions in the name of another person, also known as straw donors. 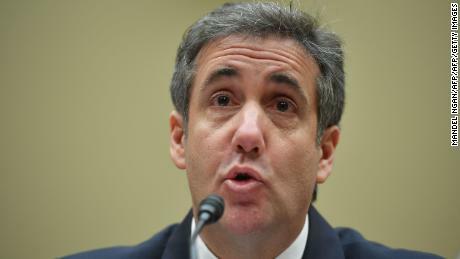 At the same time, Cohen, the President’s former personal attorney, has dangled allegations publicly against Trump, his company and others. One of those allegations may lead to an obstruction inquiry, after Cohen disclosed emails that he contends suggest the possibility of a presidential pardon as Cohen considered cutting a deal with prosecutors regarding his own legal troubles. Attorney Robert Costello, who sent the emails, disputes that the emails were discussing a potential pardon. Cohen, under oath, has also accused Trump of indirectly instructing him to lie in a statement to Congress. Prosecutors in the Southern District of New York have requested the emails between Cohen and Costello, a source familiar with the matter tells CNN. Since last summer, Manhattan federal prosecutors have been examining whether executives at the Trump Organization violated campaign-finance laws in the company’s effort to reimburse Cohen for the $130,000 he paid during the 2016 election to silence an adult-film actress, Stormy Daniels, who claimed a sexual encounter with Trump (Trump has denied the affair). More recently, prosecutors have asked to interview executives at the President’s family business, CNN has reported. Because of the ongoing investigation, information about the hush-money payments Cohen made or orchestrated was heavily redacted from search warrant material related to the Cohen case that was made public last week. The Cohen case also resulted in an agreement that prosecutors wouldn’t charge the parent company of the National Enquirer, American Media Inc, which, in consultation with Trump and Cohen, helped diminish potentially damaging stories about the then-presidential candidate. But now prosecutors are again scrutinizing the publisher to determine whether it violated the agreement. In February, however, Amazon CEO Jeff Bezos accused AMI of attempted extortion and blackmail after the National Enquirer published photos and texts disclosing an affair he was having. Prosecutors are continuing to evaluate whether the company’s actions violated the agreement, but they are cautious about the idea of bringing charges against a news organization because of First Amendment concerns, according to a person familiar with the matter. An inquiry formerly led by Mueller into Manafort’s lobbying efforts for Ukrainian politicians has also been farmed out — parts of it more than once — to other prosecutors’ offices. Last spring, Mueller referred to the Manhattan US Attorney’s office an investigation into whether a collection of Republican and Democratic political operatives had operated as unregistered foreign agents. The probe looked at former Obama White House counsel Greg Craig and his former law firm, Skadden, Arps, Slate, Meagher & Flom; longtime Democratic lobbyist Tony Podesta and his former firm, the Podesta Group; and lobbyist Vin Weber, a former Minnesota Republican congressman, and his firm, Mercury Public Affairs. The probe of Skadden and Craig then moved again, this time to the Justice Department’s national security division, with which Skadden settled in January and agreed to turn over $4.6 million it earned for 2012 work for Ukraine orchestrated by Manafort. That settlement appeared to suggest Craig could be exposed to potential criminal charges for “false and misleading statements” and for failing to register as a foreign agent, and the national security division is now weighing whether to bring a case against him, according to people familiar with the matter. Court filings from the Justice Department in an unrelated criminal case have also pinned the wrongdoing on Craig, without specifically naming him, in recent weeks. The inquiries into the Podesta and Mercury firms, however, remain with the Manhattan US Attorney’s office, which has continued to conduct interviews in service of the investigation as recently as several weeks ago, according to people familiar with the matter. Separately, Mueller’s office’s coming closure doesn’t mean court activity he began will just end. Instead, Mueller’s office has already tapped other parts of the Justice Department for support, especially the DC US Attorney’s Office and the National Security Division. Top cooperator Gates, for instance, will be dealing with a new group of prosecutors for his still-unscheduled sentencing in DC District Court. 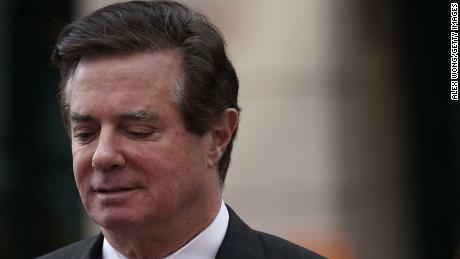 His case — originally opened as a conspiracy prosecution against he and Manafort — will be handed off to the DC US Attorney’s Office, the special counsel’s office said on Saturday. The DC US Attorney’s Office — which is led by Jessie Liu, Trump’s pick for the No. 3 position in the Justice Department — has already stepped up to prosecute several cases alongside Mueller, like those against Concord Management and Consulting and against Roger Stone, so the Gates hand-off is a natural fit. Two other pending court cases that Mueller’s team alone handled — the criminal prosecution of Michael Flynn and the pursuit of grand jury testimony from Roger Stone associate Andrew Miller — do not yet have hand-off plans finalized, the special counsel’s office said Saturday. Flynn, who pleaded guilty in December 2017 to a lying charge, isn’t yet ready for sentencing. He’s expected to be a star witness in a case brought by Northern Virginia federal prosecutors against his former lobbying partner, who’s pleaded not guilty for illegally working for Turkey. One is the communications between Manafort and Konstantin Kilimnik in 2016, which Mueller’s team asserted was at the heart of their work, and the other is the pursuit of documents from a still-unnamed foreign-government owned company. That company is still refusing to comply with a grand jury subpoena Mueller sent it last year, and has looked to the Supreme Court for help, citing sovereign immunity. The Supreme Court reviewed the proposed case on Friday but hasn’t yet said what it will do.